(2) Do I Have To File A Probate For My Spouse or Loved One? If you have recently lost a loved one, we understand what you are experiencing because everyone at our firm has lost someone close to them. We handle the administration of probates in Washington on a daily basis. We are here to help you control the process. We try to make handling a difficult situation as easy as possible. Common Question: Do I have to file a probate if my spouse or parent dies in Washington? In the case where the assets are less than $100,000 AND the deceased did not own an interest in ANY REAL ESTATE. 1. 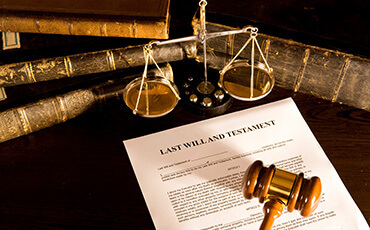 If you have tried to take care of the deceased’s bank account (or other financial accounts) and the bank has told you that you need “Letters Testamentary;” then you must file a probate to obtain Letters Testamentary from the Court. 2. If you have tried to sell or refinance real estate in which the deceased had a title interest and the lender, escrow company or title company has told you that you need “Letters Testamentary;” then you must file a probate to obtain Letters Testamentary from the Court. Also, you can call (253) 815-6940 to set up your free initial consultation. At the appointment, it is helpful if you bring with you the following items: 1. Certified Copy of Death Certificate; 2. A copy of the Last Will and Testament; 3. The names, addresses and telephone numbers of all children and/or beneficiaries named in the Will; 4. The addresses of any real estate owned by the deceased; 5. Any information concerning mortgage companies or other creditors of the deceased. 1. Experience: Over the past 25 years, Mr. Benson has helped over 900 clients with their estate planning needs and over 300 Probate cases. Christopher A. Benson is rated as “9.5” by www.avvo.com among all lawyers in the United States. We have worked hard for many years to achieve that level of excellence and we are very proud of our national rating. 3. The Initial Consultation With Mr. Benson Is FREE! Therefore, it costs you nothing to find out if you need to do a probate and what is involved in the process for your set of circumstances. 5. Here is one of the great things about probate administration in Washington: A Washington Statute provides that a probate can be filed in any County Superior Court in the State of Washington. 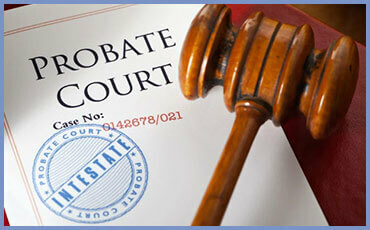 Therefore, it does not matter where you live, we can handle your probate needs. We have personal representatives who live all over the State of Washington (an also out of State) and we have the ability to file the probate in King County or Pierce County in order to save money for administration costs and make it more convenient. With the use of technology, we can handle everything over the phone, email, Apple FaceTime or in-person meetings. We try to make handling a difficult situation as easy as possible for you. 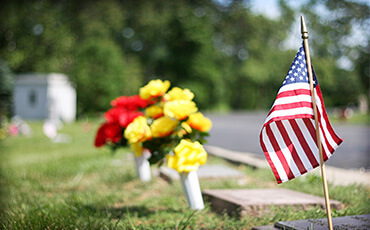 There are some common misconceptions questions about what you have to do and what is required in Washington when someone dies. Our website will provide some answers. The best and easiest thing for you to do is simply send me a quick email cbenson@cbenson.com and provide me some facts about your circumstances. From there I can have an idea of what is going on and determine if you need to schedule an in person consultation with me to go over everything. I am typically in Court every week handling probate matters. Extensive knowledge of the probate system in Washington is vital for a smooth and successful probate administration. When you die with a Will, you get to designate what gifts you want to make with your property. 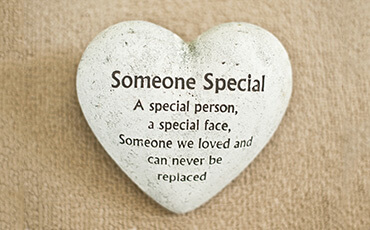 You also get to pick who you want to handle the wrapping up of your affairs and the making of your designated gifts. That person is called an Executor if it is a man or an Executrix if it is a woman. Typically, we simply use the gender-neutral term “Personal Representative.” It’s basically three different terms for the same job. When you die without a Will, there is a statutory law that predetermines who receives gifts and in what percentages. There is also a statutory law which determines which people and the order of those people are eligible to handle your affairs. Simply put, if you didn’t take the time to figure it out, the State of Washington will figure it out for your regardless of your wishes. A person has to file a Petition with the Court to seek to appoint a Personal Representative of the Estate. In some cases, the Court may also require that person to pay for a Bond to protect the heirs and creditors of the Estate during the process. A Notice To Creditors is published in the newspaper and direct notice is sent to known creditors. An inventory of all of the deceased assets is prepared and filed with the Court. Obviously, everything filed with the Court is public information and anyone can read it. Notices are sent to all beneficiaries with all of the relevant documents filed with the court. There is a 4 Month Notice To Creditors which sets a time period for creditors to submit claims of debts in order to get paid from the assets of the estate. One of your primary duties is to protect the Estate. Your duty is to act in the best interests of all heirs, as we have determined by statute. Because you are both an heir and the Administrator, you must remember that your first duty is to the Estate. You must put the interests of the Estate before your personal interests. If you believe that you are in a position where you do not know what you should do, or if you have a conflict, please discuss the situation with me, so I can give you guidance regarding your responsibilities. You must mail notice of all pleadings to all heirs and keep records that you in fact provided all notices and documents. There are certain activities that are required when probating an Estate. I have prepared a Petition, Order, Oath, Initial Inventory, and Notice to Creditors and have reviewed these documents with you. You signed them as the person wanting to be appointed as Administrator. I have presented all of these documents to the Court. I have also prepared an IRS tax form, which I have provided to you along with these instructions. When the Judge has signed the Order the probate will officially start, and you will have been appointed as the Administrator of the Estate. Letters of Administration have been obtained from the Clerk of the Court. These Letters are the legal proof that you have been appointed as the Administrator of the Estate. Each Letter includes a Court seal that makes it an original copy. I have obtained several originals, so they will be available during the probate. I have included four copies of the Letters of Administration along with these instructions. We have prepared the Notice to Creditors. This notice is being filed and then published in one of the legal newspapers in XXXX County. This publication puts creditors on notice that they have four months from the date of filing of the Notice to come forward with any claims against the Estate. We are required to notify any person or organization that you believe may be a creditor of XXXX If you know of anyone who is a creditor of the Estate, please let me know so that I can mail the Notice to them. If you receive a Creditor’s Claim that you do not believe is a legitimate bill, let me know immediately. You have only thirty (30) days to reject Creditor’s Claims of less than $1,000.00 (one thousand dollars). Any bill or Creditor’s Claim that you do not believe is legitimate needs to be brought to my attention as soon as you receive it. One of the most frequently asked questions is, “How soon can I begin making distributions of funds and assets?” The answer is that it is best to wait until the four-month period for the Notice to Creditors has expired. If you make any distribution of assets before the four-month period has expired and any creditors come forward with legitimate bills, you may be personally liable. (Meaning you might have to pay from your own funds). For that reason, it is best to wait for the full period after the Notice to Creditors is published before you make any distributions, when you are confident that no major claims will be filed. You will also need to file a personal tax return for XXXX, for the period during XXXX before she passed away. The reason for filing a tax return is to pay any taxes due and to let the IRS know that XXXX is deceased. You will also need to file an estate tax return for the period after XXXX passed away. The Estate bank account should be set up with the Estate Tax Identification Number (TIN), NOT with your Social Security Number. The bank will need to see your Letters of Administration in order to establish the account. It is best to set up a checking account where the checks are returned to you each month, even if there is an extra charge for this service. If you pay any bills in cash, you should keep receipts. Please try to keep cash payments to a minimum. You are entitled to be compensated for your time and your expenses. If you desire to be compensated you must keep records of your time and your expenses. I recommend that you keep written records of all activities (such as mileage when you take care of Estate business). This not only establishes your expenses and time, it shows to the Court that you have been performing your duties as the Administrator. You need to be aware that if you are compensated for your services, this is income to you and it must be reported to the IRS as taxable income. Generally, a rate of about $XXXX per hour for your Administrator services would be reasonable. If you have any questions that are not addressed by these instructions, please discuss these questions with me. Dated this ___ day of month, year. __ I have read and understand the above instructions. Dated this __ day of month, year.